Law Web: When delay in filing of FIR is not fatal to prosecution case? 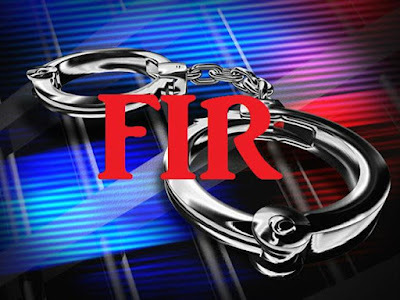 When delay in filing of FIR is not fatal to prosecution case? Contention regarding delay in lodging FIR: The accused A-1 in collusion with other accused persons invited quotations on 12.12.1982 from the 12 firms for the supply of Damp Proof Cement (DPC) and DPC was procured during 1982 to mid 1985. Ext. P11 complaint was lodged by Dr. B.D. Sharma, Vice Chancellor, NEHU, Shillong, Meghalaya on 3.7.1985 based on which FIR was registered. On behalf of the Appellant/first accused it was contended that FIR was registered nearly after two years which creates serious doubts about its genuineness, more so, when the Vice Chancellor on whose complaint FIR was registered was not examined as a witness. 29. Per contra, the learned Counsel for the prosecution submitted that DPC was procured during 1982 to mid 1985 and the offence being a continuing offence and it cannot be said that there was a delay in lodging the FIR and non-examination of the complainant-Vice Chancellor was not fatal to the prosecution case. 30. Mere delay in lodging the FIR is not necessarily fatal to the prosecution case. As rightly contended by the learned Counsel for the Respondent-CBI, supply of DPC was continuously made from 1982 to mid 1985 and it was a continuing offence. In matters of continuing offence no duration of time can be fixed for lodging the complaint. First accused in collusion with other accused persons induced the Purchase Committee for purchase of DPC at an exorbitant rate of Rs. 42.75 per kg and only when the conspiracy came to the fore, the Vice-Chancellor lodged the complaint. In cases of abuse of powers and obtaining pecuniary advantage and causing wrongful loss, time of lodging complaint and registration of FIR cannot be considered on the touchstone of prompt lodging of complaint like other cases of murder, dacoity and assault etc., where there are possibilities of exaggeration and embellishments being crept in. In cases of abuse of position by the persons holding official position, and causing wrongful loss, prosecution case is based on documentary evidence and oral evidence of other official witnesses and hardly any possibility of concoction and introduction of coloured version. We find no merit in the contention that the delay in lodging FIR raises doubts about the genuineness of the prosecution case. T.S. Thakur and R. Banumathi, JJ. 2. These appeals arising out of SLP (Crl.) Nos. 2203-2204/2011 are filed challenging the judgment of the Gauhati High Court confirming the conviction of the Appellant-first accused (Deva Prasad Sharma) Under Section 420 Indian Penal Code, 120B Indian Penal Code and Section 5(2) of Prevention of Corruption Act, 1947 (for short 'the P.C. Act') and enhancement of the sentence imposed on him. Fourth accused (Edmund S. Lyngdoh) has preferred SLP (Crl.) No. 553/2011 challenging the reversal of his acquittal and assailing the conviction Under Section 420 Indian Penal Code read with Section 120B Indian Penal Code. 3. Deva Prasad Sharma (A-1) died on 9.10.2011 during the pendency of the petition before this Court and his legal representative was brought on record by this Court's Order dated 14.11.2011 in Crl. Appeal arising out of SLP (Crl.) Nos. 2203-2204/11 and his son Debashish Sharma is pursuing the appeal. 4. Briefly stated, case of the prosecution is that Deva Prasad Sharma (First accused) was the then Chief Engineer of North Eastern Hill University, Shillong (for short 'NEHU'), Stetnel Roy (A-2) was the Accounts Officer, W.M.R. Wahlang (third accused) was the then Assistant Finance Officer, Edmund S. Lyngdoh, proprietor of M/s. E.S. Enterprise (A-4) and T.S. Bareh, proprietor of M/s. Premiere Enterprise (A-5), N.P. Garg, Executive Engineer, Shri G.L. Sharma, Jr. Engineer, Sanjay, Sr. Technical Assistant and Shri H. Nongkynrih, Section Officer, Construction Division of NEHU have colluded together for procurement of Damp Seal Cement from some fictitious and non-existent firms at an exorbitant rate during the year 1982 to mid 1985. In furtherance of this collusion, it is alleged that A-1 invited quotation on 12.12.1982 from 12 firms for supply of Damp Proof Cement (DPC) at the rate of Rs. 42.75 per kg. though the then actual market rate was Rs. 5/- to Rs. 7/- per kg. Even though the Purchase Committee had approved only two firms for supplying the materials, A-1 is alleged to have placed orders from many firms and persons without ascertaining the available stock and actual requirement which resulted in leaving huge quantities of the materials so purchased unused. On the basis of the complaint lodged by Dr. B.D. Sharma, the then Vice-Chancellor of NEHU, case was registered and investigation was taken up by the CBI. In the course of investigation, CBI found a prima facie case against A-1 to A-3, Shri Edmund S. Lyngdoh, the owner of the firm M/s. E.S. Enterprises (A-4), Shri T.S. Bareh of M/s. Premiere Enterprises (A-5) and other suppliers and charge sheeted them Under Section 120B Indian Penal Code read with Section 420 Indian Penal Code and Sections 5(2) read with 5(1)(d) of the Prevention of Corruption Act, 1947. At the investigation stage, others were dropped from the case and chargesheet was filed only against A-1 to A-5. The trial court framed the charges against A-1 to A-3 Under Sections 120B Indian Penal Code read with 420 Indian Penal Code and Section 5(2) read with Section 5(1)(d) of the PC Act, 1947, to which they pleaded not guilty. As far as A-4 and A-5 are concerned, charges were framed against them Under Sections 120B Indian Penal Code and 420 Indian Penal Code. The trial court convicted A-1 Under Section 120B Indian Penal Code read with Section 420 Indian Penal Code and Under Section 5(2) of the PC Act and sentenced him to undergo imprisonment. A-2 to A-5 were acquitted of the charges. 6. A-2 died during the pendency of appeal before the High Court. The acquittal of accused 3 to 5 was reversed and they were convicted Under Sections 120B Indian Penal Code and 420 Indian Penal Code. So far as imposing the quantum of sentence, the High Court remanded the matter to the trial court with a direction to pass appropriate orders after giving opportunity to the Accused 3 to 5 in regard to the quantum of sentence Under Section 235(2) Code of Criminal Procedure. Being aggrieved with the order of reversal of acquittal, the Appellants are before us. Pursuant to the order of this Court dated 31.01.2011, trial court passed order imposing sentence upon fourth accused. For the conviction Under Section 420 Indian Penal Code and Section 120B Indian Penal Code, fourth accused was imposed sentence of imprisonment of five years and three years respectively and fine was also imposed. 7. We have heard the submission of the learned Counsel for the Appellants and the Respondents and we have given our due consideration to the same. 8. Re: Criminal Appeal qua first accused Deva Prasad Sharma (since dead): First accused was the Chief Engineer of the NEHU at the relevant time and the first accused and A-2 and A3 were Technical Members in the Purchase Committee. On 12.12.1982, first accused invited sealed quotations from 12 firms for the supply of Damp Proof Cement (DPC) without mentioning the quantity and quality required. In response, quotations were received from six firms and the same were scrutinized on 6.4.1983 which is said to be in contravention of norms and procedure and the rate of Rs. 42.75 per kg. quoted by M/s. Premiere Enterprises (A-5) and M/s. Edmund S. Lyngdoh (A-4) were found to be the lowest and after making comparative statement, A-1 appended his initial with date. 9. On 7.04.1983, A-1 placed order upon four different firms of A-4 - M/s. Edmund S. Lyngdoh and M/s. Premiere Enterprise belonging to T.S. Bareh (A-5) for supply of 2 metric tones (MT) each at the quoted price of Rs. 42.75 per kg. On 04.06.1983 in terms of the order placed and the prices quoted, fourth accused through his firm M/s. Edmund S. Lyngdoh and M/s. E.S. Enterprise and also M/s. T.S. Bareh supplied DPC at the rate of Rs. 42.75 per kg. On 06.07.1983, the Purchase Committee of NEHU, in which first accused was the Technical Member approved the rate of Rs. 42.75 per kg quoted by the fourth accused and M/s. Premiere Enterprises for purchase of DPC. 10. The learned Counsel for the first accused contended that there is no evidence to show that A-1 had induced the Purchase Committee to approve the rates of two firms M/s. Premiere Enterprises and M/s. Edmunds S. Lyngdoh- fourth accused at the rate of Rs. 42.75 per kg. and as the contract was awarded to the lowest tenderer, there was no question of A-1 inducing the Purchase Committee by deception to purchase DPC at an exorbitant price and it was the Purchase Committee which on its own approved the rate on the basis of comparative statement of the prices quoted by the tenderers as prepared by the officials. 11. The learned Counsel for the Respondent submitted that quotations were floated by the first accused even prior to the matter being taken up by the Purchase Committee and as the Chief Engineer of NEHU- first accused must have known the then prevailing market rate and as Technical Member of the Purchase Committee the first accused should have assisted the non-technical members in the purchase of DPC at the then prevalent market rate. The learned Counsel submitted that adequate evidence has been adduced by the prosecution to bring home the guilt of first accused that he induced the Purchase Committee to purchase DPC at an inflated rate of Rs. 42.75 per kg. 12. PW-6, Sri O.D. Shira, the then Assistant Registrar of Administration, NEHU during 1983 was the convener of the Purchase Committee and he called for a meeting of the Purchase Committee on 6.7.1983. Ext. P1 is the file relating to Purchase Committee Meeting held on 6.7.1983. As per Ext. P1 (1), there was no agenda for the purchase of DPC. However, the first accused managed to introduce the item before the Purchase Committee, agenda found place in resolution No. 14 [Ext. P1 (5)] relates to the purchase of Damp Seal Water Proofing Compound for use in the department campus at Umshing. Purchase Committee accepted the lowest rate of Rs. 42.75 per kg quoted by the Appellant/fourth accused and M/s. Premiere Enterprises, Jowai. Based on the evidence of PW-6 and Resolution vide P1(5), trial court and the High Court recorded concurrent findings of fact that before ever the Purchase Committee approved the rate, quotations were already invited by accused No. 1 and A-1 being one of the technical members in the Purchase Committee managed to introduce the item in the meeting of the Purchase Committee for approving the rate quoted by fourth accused and M/s. Premiere Enterprises at the rate of Rs. 42.75 per kg as A-1 was taken into confidence by the Purchase Committee. 13. In her evidence PW-9, Smt. M.R. Mawlong who was the then Registrar of NEHU from February 1980 to March 1984 stated that first accused being the Chief Engineer was the Technical Member of the Purchase Committee and "Purchase Committee depended on the suggestion of the Technical Member who was in the rank of a Chief Engineer as regards the rate of DPC". The object of having technical members in the Purchase Committee was with a view to assist the non-technical members concerning any matter of technical nature and to guide them, as regards the utility, prevailing rate and the quantity required of the said item for the Institution. Role of the Technical Members in the Purchase Committee becomes vital and important and it was expected that the Technical Members namely the first accused (Deva Prasad Sharma) and the second and third accused are to contribute their technical knowledge and give their best possible opinion, suggestion and advice to the Purchase Committee in making purchases of quality materials at the prevalent market rate. We find no substance in the contention that there is nothing to show that the technical members first accused and A-2 and A-3 have misled the Purchase Committee and that Purchase Committee had taken the decision on its own to make purchase of DPC. (vi) First accused invited quotations from 12 firms out of which only two firms were approved firms by Purchase Committee. 15. Learned Counsel for A-1 submitted that from the evidence adduced by the prosecution, it cannot be conclusively held that the then prevalent market rate of DPC was Rs. 5/- to Rs. 6/- per kg. at the relevant time inasmuch as no documentary evidence to that effect or any price list of DPC in the open market at that time was produced by the prosecution and while so the courts have grossly erred in convicting A-1 on the basis of oral testimony. It was further contended that the High Court erred in placing reliance upon the answers of A-1 recorded Under Section 313 Code of Criminal Procedure as one piece of evidence to complete the link in the chain of circumstances against the first accused. 16. To prove that the then market rate of DPC at Shillong was ranging from Rs. 5/- to Rs. 10/- per kg, prosecution has adduced adequate evidence. PW-5, Sri Satinder Bawa who is the Director of firm Bawa Paints Pvt.. Ltd.. which manufacture paints and water proof compound since the year 1965 and the products of his firms are sold to various distributors including M/s. Premiere Enterprises and others and all over the North Eastern States including Meghalaya and Jowai area and the products were sold during 1982-1983 also. In his evidence PW-5 stated that during 1982-1984, 50 Kg. of Damp Proof Cement were sold at the rate between Rs. 80/- to Rs. 85/- at Delhi plus taxes and one kilogram packet, used to be sold at Rs. 2.80/- to Rs. 3.80/- at Delhi. PW 5 further stated that in Shillong, the rate of one kilogram of DPC would then be in the range of Rs. 6/- to Rs. 7/- per kg. which is inclusive of taxes, transportation and profit. 17. PW-16, Sri Santosh Kumar Chachan is the proprietor of M/s. Gajanand Chachan of Barabazar, Shillong which deals with hardware, paints and building materials including water proofing cement. As per the evidence of PW-5, PW-16 M/s. Gajanand Chachan is also one of the firms to whom DPC and paints was supplied by PW-5. Corroborating the evidence of PW-5, PW-16 stated that his firm was dealing with water proofing cement during 1982-1984 and he used to purchase paints and water proofing cement from Delhi, Calcutta and sometimes from Gauhati during 1983-1984, and prices of water proofing cement during that period was Rs. 5/- per kg. which was sold at Shillong. From the evidence of PWs 5 and 16, it is amply established that the market rate of DPC at the relevant time was Rs. 2.80 to Rs. 3.80 per kg in Delhi and in Shillong, the rate was Rs. 6/- to Rs. 7/- per kg and the rate at Rs. 42.75 per kg. is an inflated one and the quotations submitted by fourth accused and accepted by first accused was with ulterior motive. 18. Apart from establishing the then prevailing market rate by examining PWs 5 and 16, prosecution has also examined PW-13, Sri N.P. Garg who has worked in NEHU since 1984 as Executive Engineer who is also aware of the use of Damp Seal Cement in the construction work. Through PW-13, Ext. P5, the Work File for the construction work of Intake Water Tank at Wahjarain for the period of 6.9.1983 and by item 7 (17) Rs. 10/- per kg. was paid for Water Proofing Compound (DPC) along with other item and the work was done by contractor Hansraj Jain and the amount was paid to him. Referring to the evidence of PW-13 and Ext. P5, the trial court and the High Court recorded findings of fact that the defence neither impeached his credibility nor challenged Ext. P5 Bill as per which Rs. 10/- per kg. was paid for DPC for water proofing compound and that Ext. P5 would be corroborative evidence so far as the rate of water proofing compound (DPC) was Rs. 10/- per kg. during the period of 1983. From the evidence of PW-5 and PW-16, the dealers in DPC, and from the earlier Work File (Ext. P5) as spoken by PW-13, the prosecution has clearly established that the then prevalent market rate of DPC was Rs. 5/- to Rs. 10/- per kg. 19. Before placing the subject for purchase of DPC in Purchase Committee Meeting held on 6.07.1983, as pointed out by the trial court, no survey was conducted nor any other method was adopted by first accused for ascertaining the then prevalent market rate of DPC. During questioning Under Section 313 Code of Criminal Procedure, when the first accused was questioned about the then prevalent market rate of DPC, first accused stated that he was not aware of the same. Referring to the same, the High Court observed that it is an evasive reply and the same was taken as a piece of evidence against the accused to complete the chain of circumstances. A-1 did not utter a single word to assail that the market rate of DPC at Shillong at the relevant time was ranging from Rs. 5/- to Rs. 10/-. All that he said was that he was not aware of the market rate of a DPC at that time or that Rs. 42.75 was accepted and approved rate of DPC. These evasive replies, taken together with evidence of PW-6 and PW-13 and item No. 7(17) of Ext. P-5, complete the link in the chain of circumstances against A-1. After so observing, the High Court held that those evasive replies Under Section 313 Code of Criminal Procedure taken together with the evidence complete the link in the chain of circumstances against A-1. 21. Where the accused gives evasive answers in his cross-examination Under Section 313 Code of Criminal Procedure, an adverse inference can be drawn against him. But such inference cannot be a substitute for the evidence which the prosecution must adduce to bring home the offence of the accused. The statement Under Section 313 Code of Criminal Procedure is not an evidence. In Bishnu Prasad Sinha & Anr. Vs. State of Assam, MANU/SC/7022/2007 : (2007) 11 SCC 467, this Court held that conviction of the accused cannot be based merely on his statement recorded Under Section 313 Code of Criminal Procedure which cannot be regarded as evidence. It is only the stand or version of the accused by way of explanation explaining the incriminating evidence/circumstances appearing against him. The statement made in defence by the accused Under Section 313 Code of Criminal Procedure can certainly be taken aid of to lend credence to other evidence led by the prosecution. Statements made Under Section 313 Code of Criminal Procedure must be considered not in isolation but in conjunction with the other prosecution evidence. 22. In the present case, it is not as if the High Court arrived at the conclusion and based conviction only on the statement made by the first accused Under Section 313 Code of Criminal Procedure. As seen from the reasonings of the High Court extracted above, the statement of first accused Under Section 313 Code of Criminal Procedure was taken with the evidences of PW-6 and PW-13 and items 7(17) of Ext. P5 as a link to complete the chain of circumstances against A-1. As elaborated earlier, the answers given by the first accused were considered not in isolation but in conjunction with other oral and documentary evidence. We find no substance in the contention that the High Court erred in taking the statement of first accused Under Section 313 Code of Criminal Procedure as a link to complete the chain of circumstances. 23. Based on the oral and documentary evidence, the trial court and the High Court recorded concurrent findings of fact that the Purchase Committee consisting of the non-technical members, the first accused being a Technical Member played a dominant and crucial role in inducing the Purchase Committee to purchase DPC at an inflated rate of Rs. 42.75 per kg. when the then prevalent market rate at the relevant period was Rs. 5/- to Rs. 10/- per kg. and we see no perversity in the concurrent findings recorded by the courts. 24. Contention regarding validity of sanction: Ext.P19 is the sanction order for prosecution against A-1 and the same was under the signature of the then Chief Secretary, Government of Meghalaya. PW-18, Sri Kharkongor, Secretary in the Political Department, Government of Meghalaya was examined through whom Ext. P9 sanction order was exhibited. 25. Learned Counsel for A-1 contended that Under Section 6 of PC Act "no court shall take cognizance of offence unless previous sanction is obtained........" and so far as A-1 is concerned, Chief Secretary is not the competent authority to remove A-1 and A-1 was appointed by the Governor and the Governor of Meghalaya is the appointing authority, and therefore the sanction should be to the satisfaction of the Governor and Chief Secretary is only the authority communicating the sanction and the prosecution has not adduced any material to show that appointing authority-Governor of Meghalaya was satisfied that the relevant material to approve the sanction for prosecuting A-1 was placed before him. 26. The learned Counsel for the Respondents had taken us through the evidence of PW-18 and submitted that the Chief Secretary accorded the sanction on the basis of report of CBI placed before him and other materials as reflected in the note sheet of the file and then accorded the sanction for prosecuting A-1 and there is valid sanction for prosecution of A-1. Referring to the evidence of PW-18, the courts observed that the then Chief Secretary accorded the sanction on the basis of the report of CBI as reflected in the note sheet of the file and the sanction order does not suffer from any infirmity. 27. As per Article 166(2) of the Constitution of India, all orders and other instruments made and executed in the name of Governor shall be authenticated in such manner as may be specified in rules to be made by the Governor and the validity of an order or instrument which is so authenticated shall not be called in question on the ground that it is not an order or instrument made or executed by the Governor. It was not suggested to PW-18 that Chief Secretary has no power whatsoever to authenticate the orders and instruments made and executed in the name of Governor. During trial, the first accused also did not insist for production of the file nor suggested that the sanction order was not approved by the Governor. Referring to Article 166 of the Constitution of India, the trial court observed that the State must be having certain rules where orders and other instruments made and executed in the name of the Governor to be authenticated by certain officers of the State Government, the trial court negatived the contention of the first accused challenging the validity of sanction. We find no merit in the contention challenging the validity of sanction to prosecute first accused. 28. Contention regarding delay in lodging FIR: The accused A-1 in collusion with other accused persons invited quotations on 12.12.1982 from the 12 firms for the supply of Damp Proof Cement (DPC) and DPC was procured during 1982 to mid 1985. Ext. P11 complaint was lodged by Dr. B.D. Sharma, Vice Chancellor, NEHU, Shillong, Meghalaya on 3.7.1985 based on which FIR was registered. On behalf of the Appellant/first accused it was contended that FIR was registered nearly after two years which creates serious doubts about its genuineness, more so, when the Vice Chancellor on whose complaint FIR was registered was not examined as a witness. 31. The gist of the offence Under Section 5(1)(d) is that a public officer abusing his position as a Public Servant obtains for himself or for any other person any valuable thing or pecuniary advantage. The word "abuse" means, misuse i.e. using his position for something for which it is not intended. Based on oral and documentary evidence, the trial court and the High Court recorded the concurrent findings of fact that first accused, Chief Engineer being Technical Member of the Purchase Committee, it was his duty to advise the Purchase Committee about the then prevailing market rate of DPC to enable NEHU to purchase DPC at the market rate. The first accused was primarily responsible for the commission of the offence and the first accused by abusing his position as Chief Engineer and Technical Member got the inflated rate of DPC at Rs. 42.75 per kg approved when the same was available in the local market at price ranging from Rs. 5/- to Rs. 10/- per kg. and A-1 obtained pecuniary advantage to himself and also to accused 4 and 5 and caused wrongful loss to NEHU to the tune of Rs. 49 lacs. The first accused was rightly convicted Under Sections 120B Indian Penal Code and 420 Indian Penal Code and also Under Section 5(2)(d) of the PC Act. Having regard to the gravity of the offence and the extent of loss caused to the NEHU, the High Court rightly enhanced the sentence of imprisonment imposed for various offences for which the first accused was convicted and we find no reason to interfere with the same. The appeal preferred by the first accused and now pursued by his legal representative fails and the same is dismissed. 32. Re: Criminal Appeal qua the fourth accused - Edmund S. Lyngdoh: The fourth accused Edmund S. Lyngdoh, the proprietor of M/s. Edmund S. Lyngdoh, had also supplied DPC to NEHU at the rate of Rs. 42.75 per kg. Being the dealer, dealing with DPC, Edmund must have known the market rate of DPC; the then market rate of DPC which was ranging from Rs. 5/- to Rs. 10/- in those days. Even if A-1 was silent on the said market price, fourth accused, Edmund must have disclosed the market rate of DPC and must have quoted the then prevalent market price of DPC which was ranging from Rs. 5/- to Rs. 10/- but the fourth accused quoted inflated price of Rs. 42.75 per kg in order to make wrongful gain to himself and to cause wrongful loss to NEHU. 33. To bring home the guilt of the criminal conspiracy, prosecution should prove; (i) that the accused agreed to do or caused to be done an act that was illegal or was to be done by illegal means; (ii) that some overt act was done by one of the accused in pursuance of the agreement. The essence of conspiracy is that there should be an agreement between persons to do one or other of the acts constituting the act Under Section 120B Indian Penal Code. First accused is alleged to have conspired with fourth accused and others to supply DPC at an inflated price to NEHU of Rs. 42.75 per kg as against the then prevalent market rate of Rs. 5/- to Rs. 10/- per kg. In furtherance of the conspiracy, fourth accused supplied Six MTs of DPC and thereby said to have caused wrongful loss of about Rs. 6 lacs to NEHU. 34. Agreement among the conspirators can be inferred by necessary implications, and the inference can be drawn on the proved facts. The facts and incriminating circumstances so proved must form the full chain whereby the agreement between the accused and their guilt can be safely inferred. Fourth accused supplied DPC to NEHU at an inflated rate of Rs. 42.75 per kg and had obtained pecuniary advantage for himself and also to first accused and thereby caused wrongful loss to NEHU. In the light of evidence and proved facts, the High Court rightly reversed the acquittal and convicted the fourth accused Under Section 120B Indian Penal Code. 35. So far as the fourth accused is concerned, he was also convicted for the offence Under Section 420 Indian Penal Code. The offence of cheating is made of two ingredients: "deception of any person and fraudulently or dishonestly inducing that person to deliver any property to any person or to consent that any person shall retain any property". In collusion with first accused, the fourth accused quoted and supplied DPC at an inflated rate of Rs. 42.75 per kg, fourth accused dishonestly induced NEHU to purchase DPC. Fourth accused has taken stand that he did not know the then prevalent market rate of DPC at Shillong. As a supplier and also dealing with DPC, it is incomprehensible that the fourth accused did not know the prevalent market rate. The High Court rightly negatived the defence version and convicted the fourth accused Under Section 420 Indian Penal Code read with Section 120B Indian Penal Code. 36. The High Court remitted the matter to the trial court to hear the accused on the question of sentence and pass appropriate orders. In the meanwhile, the fourth accused preferred appeal in this Court and also filed an application seeking for a direction to the trial court not to pass sentence. By order dated 31.01.2011 this Court ordered that trial court will proceed on the sentence and pass appropriate orders. 37. By order dated 14.06.2011, the trial court sentenced the fourth accused to undergo five years rigorous imprisonment with fine of Rs. one lakh with default clause for the offence punishable Under Section 420 Indian Penal Code; for the offence Under Section 120B Indian Penal Code fourth accused was sentenced to undergo three years rigorous imprisonment with a fine of Rs. 50,000/- alongwith default clause and both the sentences were ordered to run concurrently. The fourth accused had undergone sentence of imprisonment from 14.06.2011 till 16.02.2012 totally 248 days. By the order of this Court dated 16.02.2012, the sentence imposed on fourth accused was ordered to be suspended subject to the Petitioner/fourth accused depositing a sum of Rs. 3,50,000/- roughly representing 50% of the excess amount allegedly gained by him towards the price of the DPC supplied. The fourth accused is stated to be seventy years old and is said to be undergoing treatment for Type II Diabetes. The matter is lingering on for about three decades. 38. Having regard to the duration of the pendency of the matter and age of the fourth accused and that he has already paid fine amount and also deposited the amount as per the order of this Court, in our view, the period of sentence of imprisonment imposed on the Appellant-fourth accused for the conviction Under Section 420 Indian Penal Code and Section 120B Indian Penal Code shall be modified to the period already undergone and by imposing further fine amount of Rs. 2,50,000/- in addition to the fine imposed by the trial court and the amount deposited pursuant to the orders of this Court. In default of payment of the said fine amount of Rs. 2,50,000/-, the fourth accused shall undergo imprisonment of one year. 39. The appeal preferred by first accused now pursued by his legal representative is dismissed. The appeal preferred by fourth accused (Edmund S. Lyngdoh) is partly allowed to the extent indicated above.